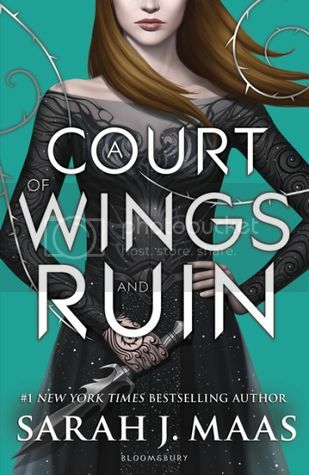 Ahhh, the cover for this book is SO pretty! I had to admit, this series definitely has the best covers. I love this series and I am so excited for the next book! Great pick! I'm looking forward to this one too - very intrigued to find out what's going to happen after the events of book two. Hope you enjoy ACOMAF when you get to it, and then there won't be too long left to wait until book 3! Yesss!! I am just about to finally start ACOMAF! And I am sure I will regret not waiting at least 2 months from now to read it because I am sure it will leave me screaming! LOL! I'm right there with you! I really enjoyed ACOTAR, but I have yet to read ACOMAF. I want to just go back to back with these two, because I've heard that the ending is downright amazing. Great pick Christy! Here is my WoW!